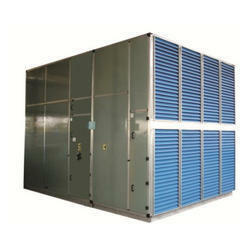 We are a leading Manufacturer of air washer internal from Pune, India. We manufacture high-quality Air Washer Internal to our prestigious clients. Offered by us, these air washer internals are used in industrial unit ventilation, fertilizer complexes, power plants, petrochemical complexes and textile units. By using advanced machinery, our professionals manufacture these products in compliance with the set industry norms. Looking for Air Washer Internal ?